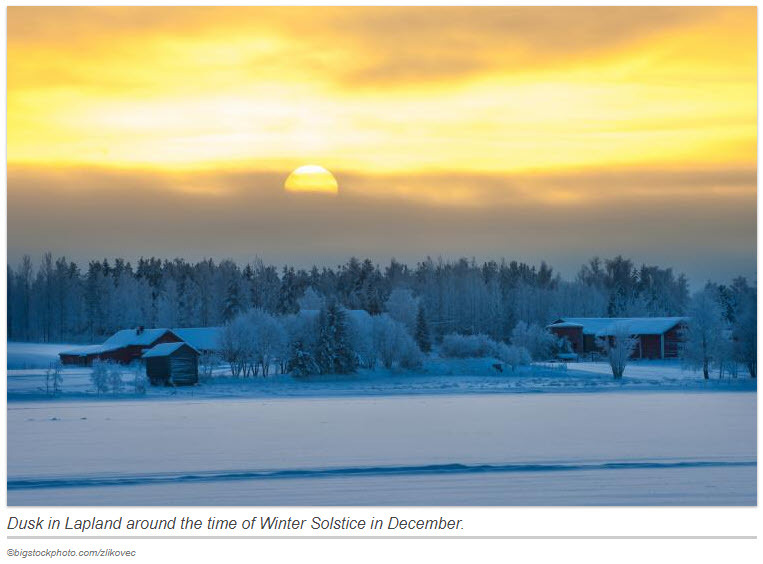 When the winter solstice happens in the Northern Hemisphere, the North Pole is tilted about 23.4° (23°27') away from the Sun. Because the Sun’s rays are shifted southward from the Equator by the same amount, the vertical noon rays are directly overhead at the Tropic of Capricorn (23°27' S). Six months later the South Pole is inclined about 23.4° away from the Sun. On this day of the winter solstice in the Southern Hemisphere, the Sun’s vertical overhead rays progress to their northernmost position, the Tropic of Cancer (23°27' N).